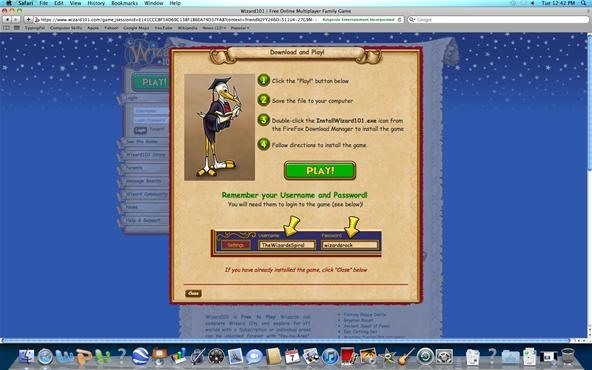 Many of you wizards out there still don't know what this Wizard101 is. Technically, I shouldn't call you wizards, but oh well, you will soon become one. 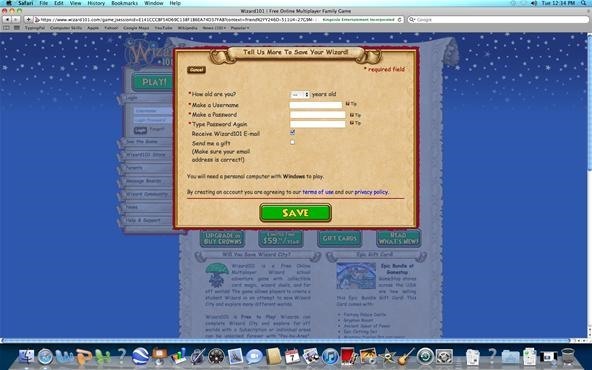 So you read the overview of Wizard101 and are very interested in it. 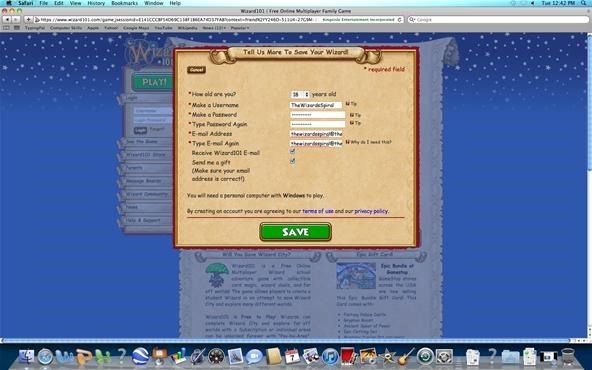 You head over to the Wizard101 website and click Play, sign up, and have a new Wizard101 account. Along that way, you are not reminded of anything about getting a free dragon or free Crowns. But now, there's a way. Now enter your information. 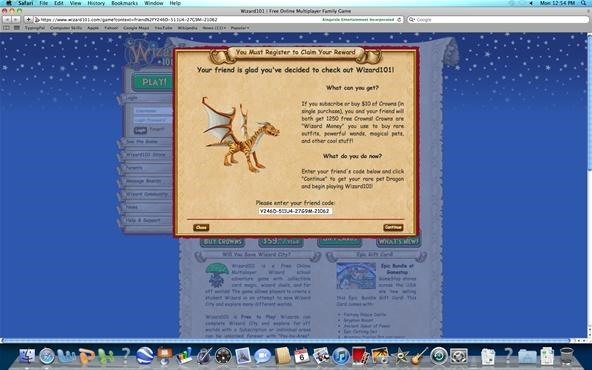 Make sure to click the "Send me a gift" checkbox for an added bonus from KingsIsle! And you're done! Now just download the install file and install Wizard101. You also get 1250 Crowns when you log in! IMPORTANT NOTE: The extra 1250 Crowns will only be awarded when you purchase an order of $10 or more on your account. You will need to to advance to higher areas in Wizard City.